In Connecticut, we meet Richard Jenkins, who plays the lonely Professor Walter Vale. We get to know that for close to twenty years he has been teaching only one class at a local college. A widower, he doesn’t appear to be acutely dejected, but he doesn’t appear to feel much either, clenching whatever inner feelings he might have beneath an unfriendly yet courteous disposition. He enjoys classical music and despite not having the necessary talent puts himself through piano lessons in a lifeless endeavour to keep up some kind of connection to his wife who was a concert pianist. Upon the insistence of his colleague, the taciturn Prof Walter reluctantly agrees to leave his comfort zone to present a paper at a conference at the University of New York. When he arrives in Manhattan, he finds that the lights are burning and flowers have been arranged in a vase, in his apartment that he owns but has rarely visited in years. Puzzled, he checks the rooms one by one, to stumble upon, in his bathtub, the wondrous Senegalese woman Zainab (Danai Gurira) who sells handmade jewellery at a flea market. Zainab begins to scream when she sees Prof Walter while her drummer boyfriend from Syria Tarek Khalil (Haaz Sleiman) arrives and slams the Professor against the wall. After a tense few moments, Tarek discovers that someone they knew called Ivan had clandestinely rented the Professor’s apartment to them. 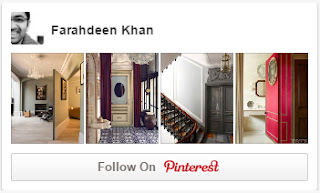 Apologising for the misunderstanding, Tarek and Zainab pack their bags and leave. While they are waiting outside on the street as Tarek is on the phone trying to get a place to stay, the Professor’s preliminary dismay gives way to an instinctive flicker of empathy and he invites them to stay with him until they find another place. With this little gracious gesture begins the long intertwining saga between the characters that we end up cherishing for long after the movie is over. 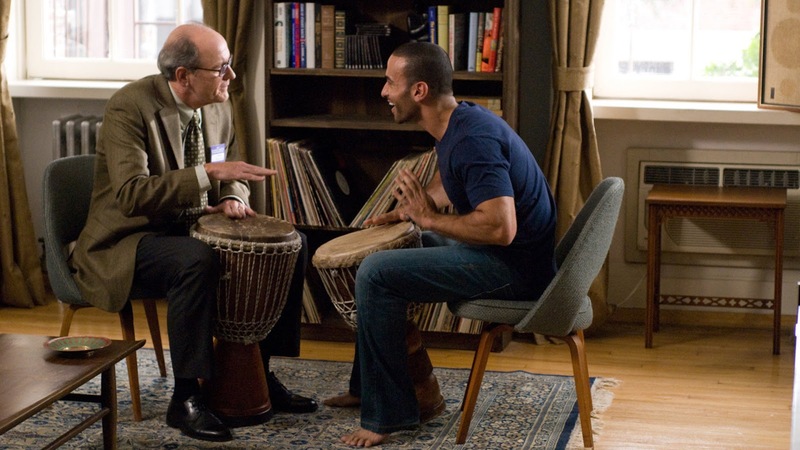 One day the Professor is intrigued after watching two men play the drum in the park and when he gets back home and hears Tarek playing the djembe, an African drum, he is strongly drawn towards it. Tarek offers to teach the Prof how to play the drum and it’s pleasant to see how the inhibited old man is drawn out of his shell little-by-little and finally finds in the djembe a means of expressing himself. It’s interesting to watch how the young and the old generation surpass the gap of cultures and age by their mutual love for music. The actual tone of the movie begins to unfold when Tarek is arrested by the police at the subway and dragged away to the detention centre. You recognize how a human being, no matter how disconnected they might appear to be, will shake themselves up by crossing all the barriers when a connection happens between them, and how much they can stretch to make sure that all goes well for the ones they care for under such testing times. When Prof Walter gets back home and tells Zainab about the incident at the subway, she is devastated and decides to move to her cousin’s place temporarily until things are sorted out. The Prof requests her to stay back but she thanks him for all the help and moves to her cousin’s place. This is a nuance that I found incredibly thoughtful and accurate from the Muslim point of view that the director has marvellously weaved into his narrative structure without it being obvious unlike how some of the most sensitive and learned filmmakers in India represent people of specific communities in local cinema in such a bad light and make no point really. Unexpectedly, Tarek’s mother, the striking and elegant Mouna Khalil (Hiam Abbass), lands up at the apartment from Michigan when she fails to hear from her son for three days because Tarek and she are used to speaking to each other every day. I know I could go on and on but I seriously think I ought to stop now, or else I will end up ruining the surprises and layers you’ll get to see in the film because this is one film that does not deal with stereotypes and clichés and yet talks to you not about Muslims or Christians, but about people in a manner which you most know and like them. Similar to the intoxicating beats of the djembe that kept me hooked, I found this an extraordinary film whose muscle lies in its simplicity, although it operates at several levels all at once, and yet without much fuss. It seems to open up facets of life through its drama and delicate comedy and still you understand that it makes no specific effort to impart lessons or convey messages by manipulating emotions of the viewers save for leaving us with ample questions whose answers we have to discern for ourselves. Then there were moments that had me bowled over such as when the Prof goes to meet Tarek at the detention centre. Tarek is asked to cut his chat short because they have to do a bed count of the people present and while leaving the enclosure says, “Goodbye, my friend.” with a melancholic look of loss in his eyes. At any other time those words are what we use most often in our normal conversations with our friends, but under the given circumstances, they obtain a total new meaning. They make you realise how important friendship really is. The second moment was when the Prof and Mouna are at the hotel having dinner and he tells her that he is taking a leave of absence for the rest of the semester because he wants to spend more time in New York. Mouna understands why he is doing this and tells him that what is happening is not his problem and he ought not to be doing so since he is a busy man with his teaching and the book that he is working on. The Prof glances at Mouna contemplatively and confesses to her that he is not busy at all because the truth is that he pretends he is busy working and writing when he hasn’t really done anything worthwhile in a long time. Everybody in the film has done a magnificent job though my favourites are the characters of the Prof, Tarek and Mouna. However, it would be brilliant to see more of actor Haaz Sleiman who I consider very much capable of delivering complex roles with such ease and without fault. He says so much through his eyes that he quite literally makes you dance with joy when he is happy or shed a tear when he is sad. Richard Jenkins never overplays his part and we see that a lot of work has gone into his performance that has just the correct combination of suffering and a sense of humour. The soft and sombre Zainab is apt for the role she has portrayed, while Hiam Abbass lends depth and adds much nuance to her character fitting into it like a glove and giving us no room to find any blemish. Writer and director Thomas McCarthy knits a remarkable tale and it is enlightening to see that so much detail was set into it. 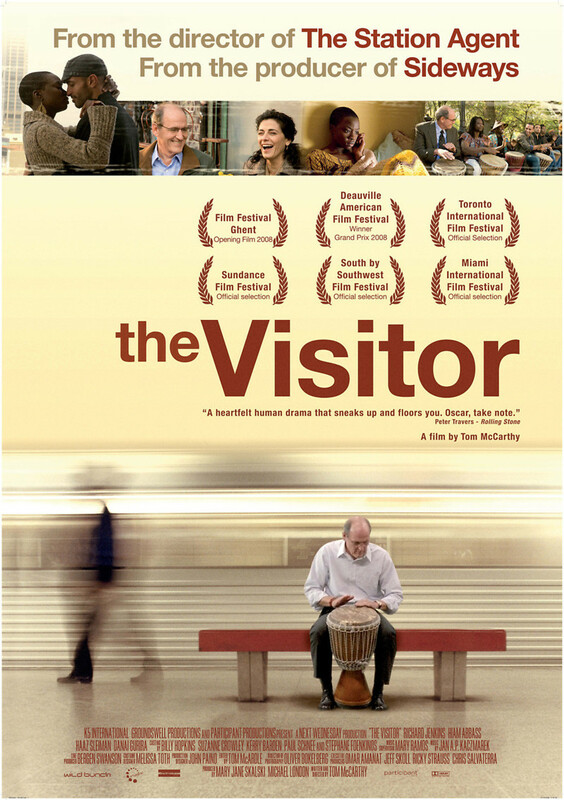 I think that all of us must watch The Visitor at least once to appreciate the life that we live and to value the fact that at the end of the day, connections indeed, are everything to human survival. Regardless of his social insufficiencies and the frustration you see in him when you know that he is unable to figure what someone else is meaning without it being told to him in un-minced words, or when he knows that you are looking for emotional comfort but does not know how to get down to providing it because an expression of display of the feeling is alien to him, you still know you can relate to Adam right from the beginning simply because I think each of us at some point, Asperger’s or not, have felt the same because it somewhere deep down represents our id. Whilst the film keeps you engaged not only by the romance of the two characters you uncover the subplot of Beth’s parents whose disruptive tone imparts most subtly on you a lesson or two entirely dependent on how you view life. The humour is refined and convincing. The revelation arrives with the fact that we are not introduced to two perfect people who are going to make a perfect life together but we are instead taken on a journey with them that aids them to accept each other’s imperfections, that inadvertently helps them not only correct each other but also grow with a diet of healthy positivism. From the start you know that Adam is not all about the romance but it is more about the evolution of it – as all great moments of life are. All good things said there are some slight awkward moments that creep in on some occasions too. For instance you see Beth leap out of the couch when Adam asks her if she was sexually aroused while they had sat looking at the racoons the previous night in Central Park because he admits that he was aroused when they were sitting together. Although the scene was a bit tricky, the honesty of the way it has been handled surely takes away the initial awkwardness one feels when one watches it for the first time. On the other hand, what I found entirely out of context was the sudden and peculiar fashion in which the police end up hauling Adam when he is innocently watching the kids’ play at school, which you reckon soon, is where Beth teaches. 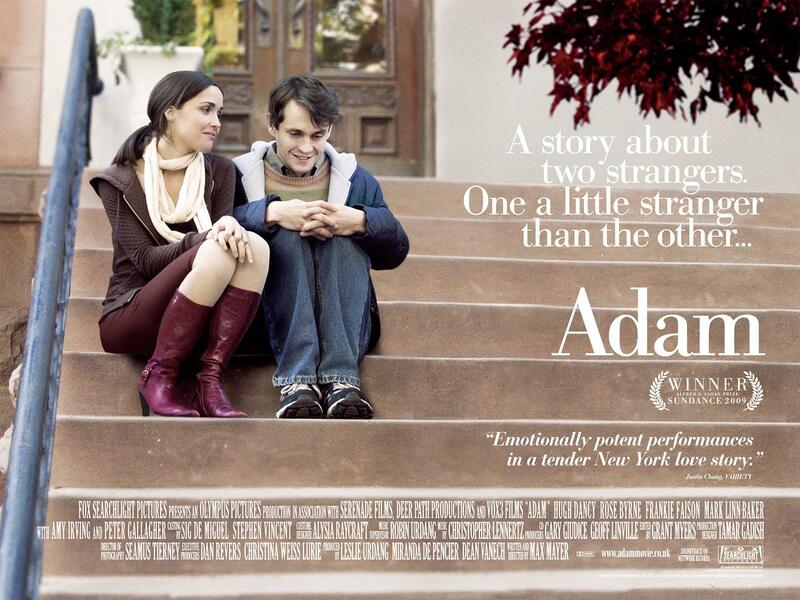 Adam is not a film entirely predictable; it is more involving than you might expect. Besides, not that I consider the Oscar any important, but since it has achieved such a cult status in the American continent I would like to say to the Oscar coterie that they wake up and recognise the sincerity in people like Hugh Dancy who don’t make Adam seem like a caricature of the syndrome. But on the contrary add soul into their roles by virtue of their talent rather than trying to tailor their performances like their predecessors have done to appease and achieve in coveting the statuette by the clout they enjoy in the hoity-toity circles. An imperative and significant facet of life that the character Adam prompts you towards in the most delicate demeanour is that as cliché as it sounds, love is something more beautiful and deeper than merely being with one another physically. That it can transform you and make you even more beautiful than you were. There is such a marvellous clarity to the love in the film that it gives them room to grow together, but apart, and yet it always has scope for improvement. It would be wonderful if so many of us were to accept that feeling although we know we feel it but are too afraid to accept it merely due to our own insecurities or better put our inadequacies. While the director Max Mayer has done an excellent job by keeping the roles well-grounded in reality and yet not losing the drama required to give it a mass appeal, I simply loved the way in which Seamus Tierney (whose work I am most unfamiliar with but loved here) has adoringly got on film the Manhattan locations. And when I see something shot so wonderfully I cannot but help adding that the camerawork clearly reminded me of my dear friend Ravi K Chandran, one of our countries finest DOPs who can literally breathe life into something that is lifeless merely by the merit of his craft. And like in his work you see that it is not in the complexities that he achieves genius, but purely in his simplicity, so does Adam too charm you on the same note.